It took some time, but I’m glad that we managed to see Terra Nova. The pilot had been delayed for a while, ever since last May. I didn’t expect much, since I don’t really keep apprised of the latest TV news, but I was happily surprised with the pilot. The setting is quite interesting. While the future 2149 setting isn’t really that important, it set the mood nicely. It was a sort of Big Brother-like future, where people weren’t allowed to have many children and the Earth was becoming non-sustainable for human life. The time fracture, opening 85 million years into the past, allows different pilgrimages to settle in healthy biosphere, but populated by dinosaurs. I like the fact that this isn’t the same timeline as before. They entered another worldine, which is the only way that this could make sense. I’ve been a Nathan Fillion fan for quite a while. Ever since Firefly, I was really impressed by his acting. Since he is starring in a new series named Castle, I took it upon myself to watch it weekly. Anyway, what do I like about Castle? Well it stars an obnoxious, womanizing novelist. Detective Kate Beckett is a closet hottie, played by Stana Katic. Her hotness is kind of hard to explain. The actress is quite hot, but in Castle, she toned it down. She doesn’t wear much makeup and favors a natural look, kind of like “Oh I’m hot, but I could be the girl next door, BTW, FYI, I’m still smoking hot.” That’s how I described her in my mind. She’s kind of got the ex-catwalk model look going for her, which is quite good. So that’s a good point. Plus she’s Canadian and a good actress. That’s always a good combination. I’ve mentioned to someone that watching the Jersey Shore is like watching Animal Planet. It’s like watching the mating habits of a cheetah, or something like that. There’s no doubt in my mind that this is true. Where to begin? The douchebagginess of the cast leaves you speechless. There are no words to describe these self-professed guidos and guidettes. The cast is heading to Italy to meet real Italians. We all know that this will only end in tears. You knew exactly where this was heading, ever since the last episode, we all saw that Snooki and Deanna are totally out of control. Much to Jenni’s dismay, who always has to pick up the pieces. This time around, Jionni is involved. From what we’ve seen of him or heard of him, it looks like he’s a lot more traditional than Nicole, something that she has yet to fathom or understand. It turns out that Jionni is still in town, and Jenni manages to reach him before he hops onto a train to Rome. Snooki comes running, but he decides to go anyway because of some ticket issues. Whatevs, that’s just his excuse. Snooki is depressed for a while. Then, she talks with him a day later and he tells her off about being a drunken slag. He tells her the truth, but she doesn’t want to hear it and decides to hook up with Vinny. From the previews, it looks like Mike will try to get into Snooki’s business by having a mate call up Jionni and tell him that Snooki screwed Vinny behind his back. There will be a massive confrontation between Snooki and Mike, and Snooki will definitely no longer be dating Jionni. Warning: This post might offend you. FoxLv2 Platinum Portable Bluetooth Speaker: Hi-Fi on the Go? While I usually listen to my tunes with headphones, sometimes it’s good to have a portable speaker if you want to share your music. 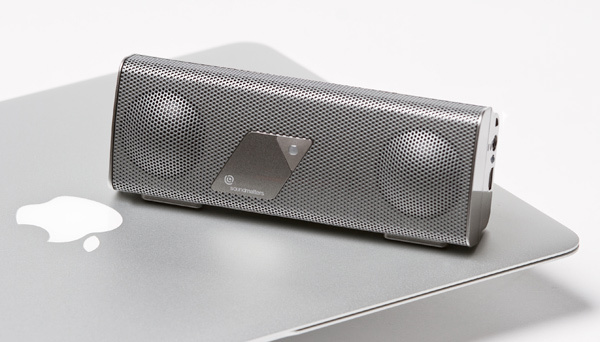 Bluetooth speakers are cool since they allow you to do so with your smartphone. The Soundmatters FoxLv2 Platinum Bluetooth speakers are made with high-end parts and are supposed to allow you to get great quality on the go. The i-Wood looks like a great way to surf with your toddler. 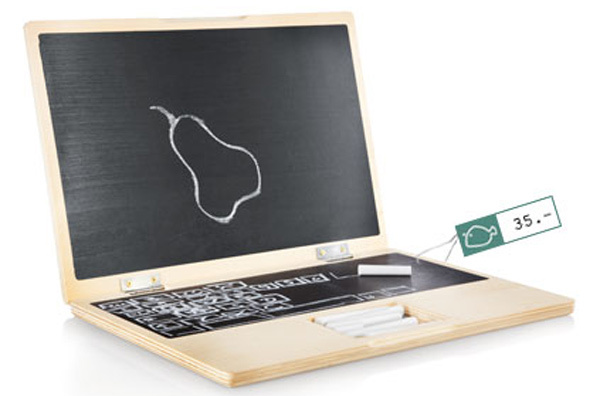 The wooden chalkboard is shaped like a laptop, perfect to let your kid emulate his or her parents, each typing away on their respective laptops. Sounds cool, but I already know quite a few toddlers who use iPhones and iPads. Still it’s a nice-looking, portable chalkboard for those time you don’t want kids getting their fingerprints all over your iDevice. The previews from last week made it seem that Ozzy would make a fatal mistake in this week’s immunity challenge, but it didn’t really matter. It was all down to the way that the tribes organized themselves. Coach smartly went on top to use the grappling hooks, which is what won the challenge for Upolu. Back at Savaii, Papa Bear scrambles to pretend that he found the immunity idol. No one really believed him. At Upolu, it’s obvious that Brandon will be leaving at their next tribal council. He’s a bit of a loose canon and everyone is on edge with him around.